PUAKŌ, HAWAII - An educational workshop is planned on Saturday, June 11, for interested community members who want to learn more about ongoing resource management and conservation in Puakō. 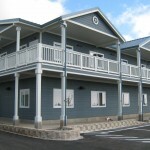 Puakō Makai Watch will host, ‘'Ike Kai,” which is designed to inform and engage community members on how they can volunteer with the Puakō Makai Watch program. 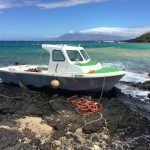 HONOLULU -- Beginning on July 1, 2016, all vessel registration transfers in the State of Hawai‘i will require a notarized bill of sale to be presented to registering agency the Department of Land and Natural Resources’ Division of Boating and Ocean Recreation (DOBOR). KAHULUI – Makena State Park will be closed for public safety on Monday May 9, while an early morning helicopter salvage operation is underway, weather conditions permitting, to fly out a vessel that grounded on an inaccessible part of the park shoreline. The park will reopen as soon as this operation is completed.